Americans are paw-sitively crazy over their pets. Pet ownership has recently grown to over 84.6 million households in the U.S. — over half the population. And with those pets comes spending to keep them happy and healthy. In 2017, over $69.6 billion was spent on pet products in the United States. That number is expected to grow to over $73 billion in 2018. The most common pet across the country is a dog. We love dogs here at Square, so we’re going big to celebrate National Dog Day on August 26. 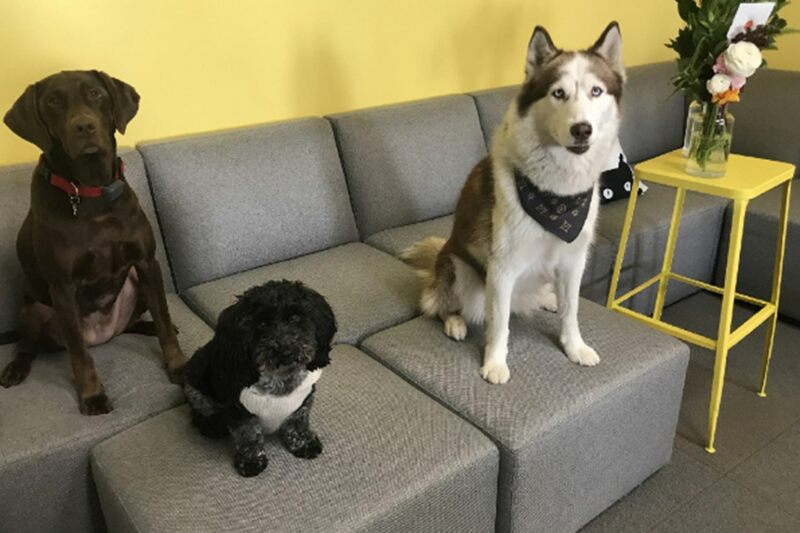 Recently, we spoke with seven Square sellers who work with dogs (and for dogs) to hear their tails of catering to four-legged customers, and their two-legged counterparts. When Keith and his wife, Patrycia, took their Bernese Mountain dog, Roxy, to dog parks, Roxy would often return home in desperate need of a bath. Cleaning and brushing her afterward was messy, and the pair quickly realized there was no place you could go to bathe your dog in Minneapolis. They started Bubbly Paws in 2011, a space for dog owners with self- and full-service pet baths and grooming services. Walks on or off leash? Good question. My wife and I both own Bubbly Paws, and let’s just say she keeps me on a really short leash! Four-legged customers love our frosted cookies. They look amazing and I kind of want to take a bite of one to see how they taste! How do you differentiate yourself in the market? The way we treat our employees. We work hard to create a fun, upbeat store. When you find great employees you need to take care of them. Beyond staffing, we also donate to pet rescues — last year we donated over $15,000 in goods and services. What makes it more difficult to work with doggies? We love working with dogs. The real issue is when they don’t want to stand still for grooming, but our groomers are all really calm, and love working with them. Who are easier customers, humans or dogs? Paws down, the dogs are easier! What is your favorite part of working with four-legged friends? Dogs bring such a smile to your face. I love seeing dogs that are so excited to come into our stores. I also love meeting new dog owners and helping educate them on how to care for their pooch. What are some of the biggest challenges or adversities you’ve faced starting and running your business? We’ve always embraced technology — it’s something we have always wanted to be part of our business. I think some of the bigger issues are trying to remember that not everyone has embraced technology as much as we have. Also, when we have so many systems that are dependent on the internet, it’s been crucial to have a plan for when it goes down. When Petcube cofounder Alex Neskin’s dog, Rocky, developed separation anxiety, Alex began searching for a solution for when he couldn’t be home. Alex created the first Petcube camera prototype to entertain Rocky and make him less anxious, and the company launched its first Kickstarter campaign in 2013. Walks on leash, but with some training and confidence we think off-leash walks are possible! Our customers rave about our Petcube Bites camera, which has a treat-dispensing feature that allows them to reward their pets remotely. Petcube’s products are created with pet parents in mind, with functions like real-time interaction, video history, treat dispensing, and laser games. We also offer a Care subscription program that provides educational content so parents feel fully equipped to raise their pets. Dogs are for sure an easier customer! They tend to complain only in barks and are easily won over with tasty treats or belly rubs. Having a dog/cat friendly office is a lot of fun. We’re able to test our products with them, and take occasional snuggle breaks during the day. 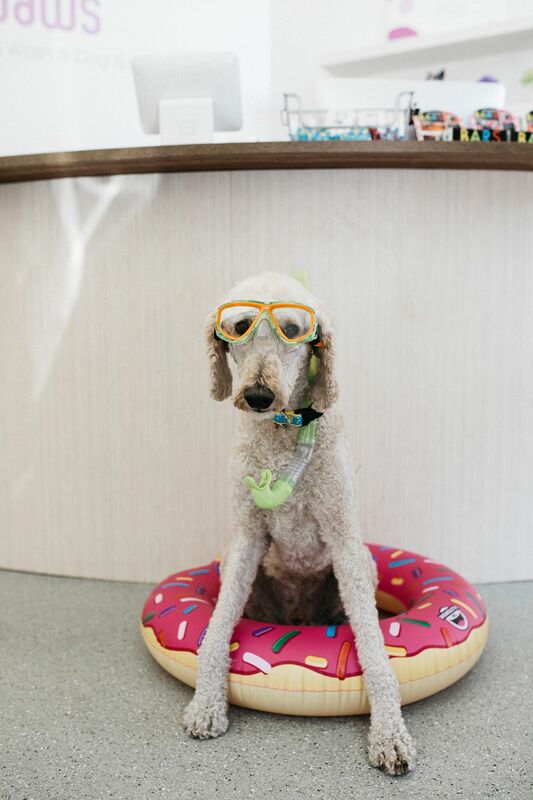 Sarah’s first pop-up dog cafe opened in 2015, which led to a brick-and-mortar location the next year. Although I personally enjoy taking my dogs to off-leash hiking areas and walking them off leash, in a big city like LA, where there are many regulations and laws, we always walk our dogs on leash! How did you market yourself in a market without established demand? Before opening, we created a lot of buzz through our Pup-Up Dog Cafe store. We got a lot of media attention and rode that wave until the store opened up in early 2016. Dogs have such different personalities and such different ways of dealing with their emotions. A lot of our shelter dogs come from abusive and neglectful pasts, and it’s hard to predict how they will react in public spaces, around other dogs, on walks, at parks, around kids, around adults, etc. We work to rehabilitate these dogs to help them understand that not all people, places, or experiences are bad. We try to recalibrate the way they experience life by offering them a more positive outlook on how the world works. 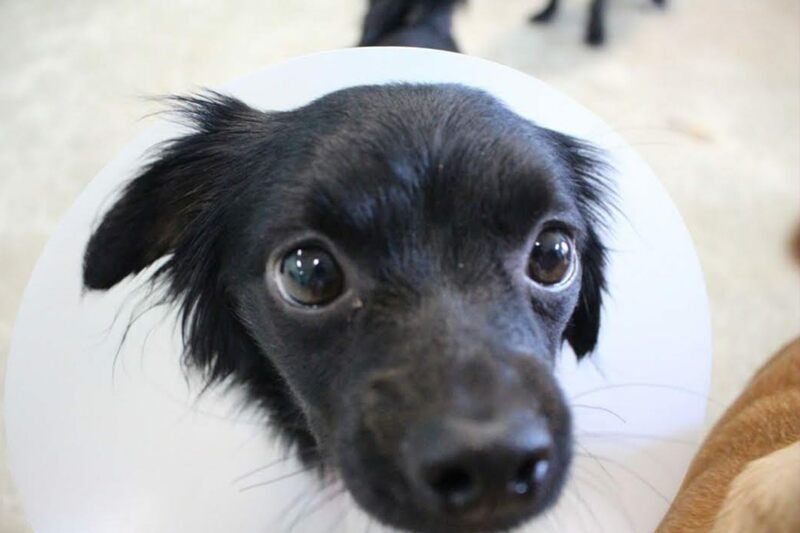 So many of our dogs are able to experience the genuine love, kindness, and care from our caretakers that they make 180-degree changes within a few days, while some more sensitive souls may take a little while longer. Dogs are so forgiving. We’ve had dogs that have come from unthinkable trauma learn how to love again. What are some of the biggest challenges or adversities you’ve faced in starting and running your business? We’ve had a difficult time trying to balance the needs of customers while sticking to our core values. So many people that come into The Dog Cafe believe they have the right to be trampled by a hoard of puppies. The reality is, we spend a lot of time rescuing dogs, often on the euthanasia list, that would not have a chance at adoption without our facility. These dogs are often timid and take some time to warm up to people. The more often you come, the more blossoming of each dog’s personality you get to experience (our frequent visitors are often recognized by the dogs). 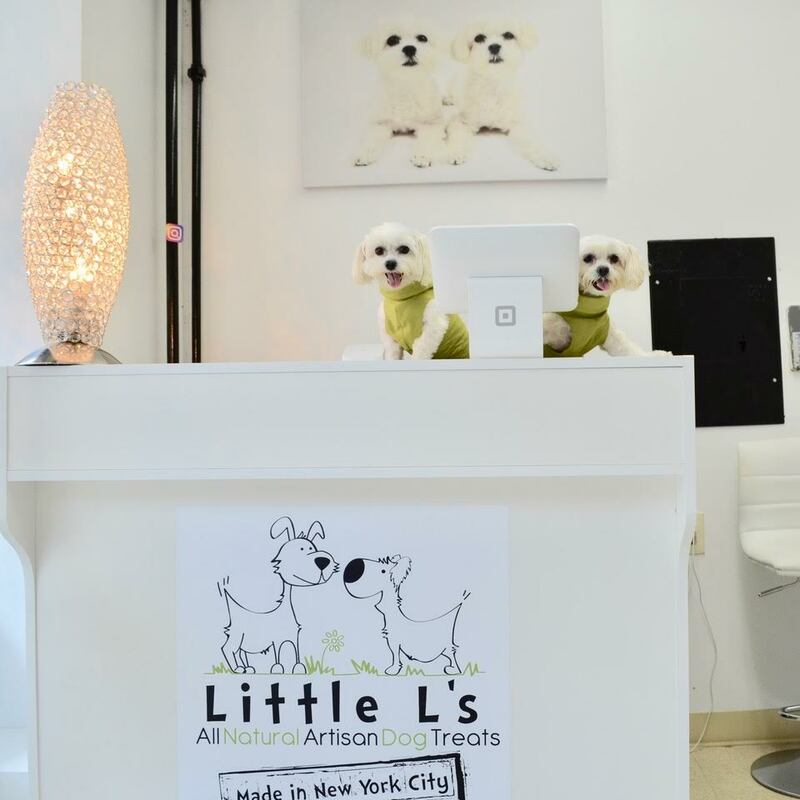 When Lenny adopted Lilly and Lulu, two Maltese–Shih Tzu pups, they were very picky eaters from the get-go. To encourage them to eat, he began testing homemade food to feed them a tasty, natural, and holistic diet. “We started out cooking for them as a hobby, and eventually wanted to share our treats with all dogs, so Little L’s was born,” he says. Always on leash (precious ones should be kept close). Dogs are like little furry humans, and their taste can vary regularly. It’s really up to the dog and their personal taste, but they usually enjoy our meat treats, Krak’ems. We cater to the educated buyer who knows the value of good nutrition and quality. Our treats are handmade using only the premium parts of poultry and meat, and they are slowly baked to a crisp perfection using an old-fashioned dry-oven technique. Doggies, difficult? Haven’t met one yet! When it comes to treats, no dog is difficult. There is a saying that goes “Dogs welcome, humans tolerated.” This pretty much sums it up — dogs are our everything. Definitely the doggy excitement! Dogs get so excited and happy when they try our treats — you just can’t ask for more! As consumers we have been flooded with so many inexpensive, unhealthy treats on the market, and countless stories of dogs getting sick from eating treats manufactured overseas. It’s challenging to change people’s perceptions about dog treats, but we’ll continue to do it for the well-being of our furry friends. When the Hamill family dog, Prince, wouldn’t stop playing fetch, they knew they had to create something so he could play as much as he wanted throughout the day. Developing the iFetch started out as a fun tinkering project between “Bapa” Denny and his grandson, Grant, and eventually led to a wildly successful Kickstarter campaign. Both, depending on where we are. We like to be off leash as much as we can. Austin gives us access to lots of great trails and dog parks. Hmm, that really depends on the dog. We have products for all sizes of dog, whatever their favorite activity. Whether they love to fetch, dig, or solve a good brain game, iFetch can keep them occupied. The core values of our family-owned company are innovation and quality. We design every detail of all our products, ensuring they meet our highest quality standards. We also develop dog toys that focus on mental and physical stimulation. Like humans, dogs need mental and physical stimulation to be healthy and happy. Um, nothing! We are a dog toy company. Dogs are the heart and soul of everything we do. So, yes, we are crazy dog people. Without question, dogs are easier! We develop all our new products with the dog in mind. We know that if we can make dogs happy, their humans will be happy, too. 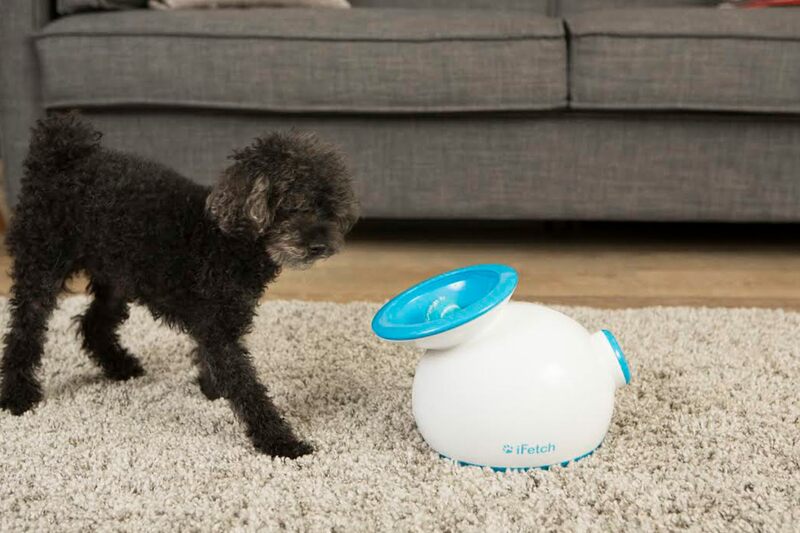 We love watching dogs’ excitement when they play with our iFetch toys. We feel like proud parents watching all the dogs on social media learn how to use the iFetch launchers and the iFetch Frenzy. It’s tough running a small, family-owned business when you’re competing against large, well-established corporations with big marketing budgets and production facilities. There are also some companies that have developed “copycat” products that violate our patents, but we always stand by our design and construction. Susie began a search for a gentle and effective natural shampoo for dogs after her family’s golden retriever had fourteen puppies. 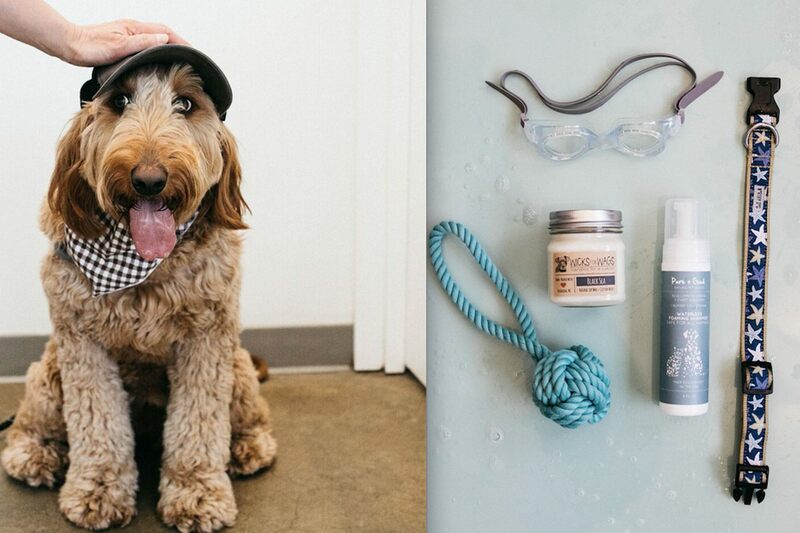 “My daughter and I both love dogs and natural wellness, and we wanted to create a line of products for pets that was natural, effective, and approachable,” Susie says. 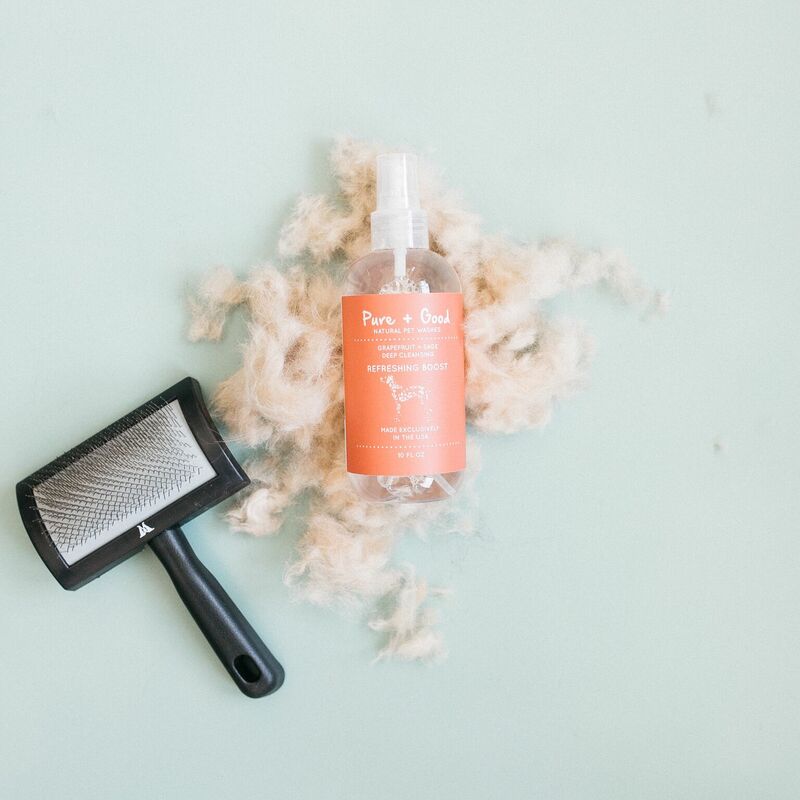 Today Pure + Good includes everything from doggie coat care, hygiene, and wipes to deodorizing candles for the dog lover’s home. We own three dogs and live in the country, so our walks are usually in an off-leash environment. Our entire lavender and tea tree collection! There is a wide array of dog breeds that suffer from unique skin conditions, and it has been a challenge to formulate products that can be effective in treating all of them, especially since they really can’t give any verbal feedback. Dogs — they just want to love you all day long. Is there anything one wouldn’t think about before starting a pet-centric business? That you’ll actually be marketing to humans! My favorite days are when I get to go out into my community and meet new pups. The pet community is a positive, creative and love-filled environment of two and four-legged friends. What are some of the biggest challenges or adversities the business has faced in starting up and growing? As we have grown, we’ve had to move from our small-batch kitchen production into a much larger manufacturing facility. No longer having complete control over every detail of the production process can be difficult to navigate. Synette and her co-founder, Sheree, were inspired to start Gibi after witnessing missing pets and their owners’ heartache trying to find them. Gibi GPS trackers with personalized or designer decals. In addition to providing top-notch customer service, our technology is made with the utmost quality to help keep our furry companions safe. 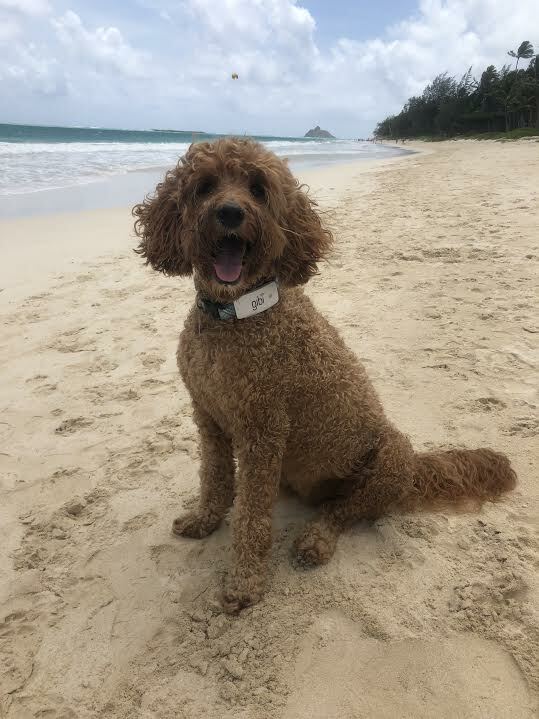 Gibi trackers have the most expansive coverage in the US, Canada, and Mexico, the best accuracy (how precise your dog’s location is provided), unlimited range (how far you can be from your dog to track him), and the highest reliability. It is simply the best and most fun to work with dogs! Who’s an easier customer - humans, or dogs? Dogs of course! We humans love our dogs. Dogs are family. Is there anything you hadn’t thought about before starting a pet-centric business? We didn’t know that the vast majority of people think microchips can find their missing pets. Unfortunately, they don’t — microchips are essentially dog tags implanted under a dog’s skin, and only help someone that finds your pet contact you. Long walks on the beach…just kidding. It is a great feeling when we hear from customers that Gibi helped them find their missing dog and that the service is invaluable to them.